Bakersfield Observed: A reader shares the uplifting story of rescuing a starving pit bull, more on those gardening scams about town and just what is a transracial person? 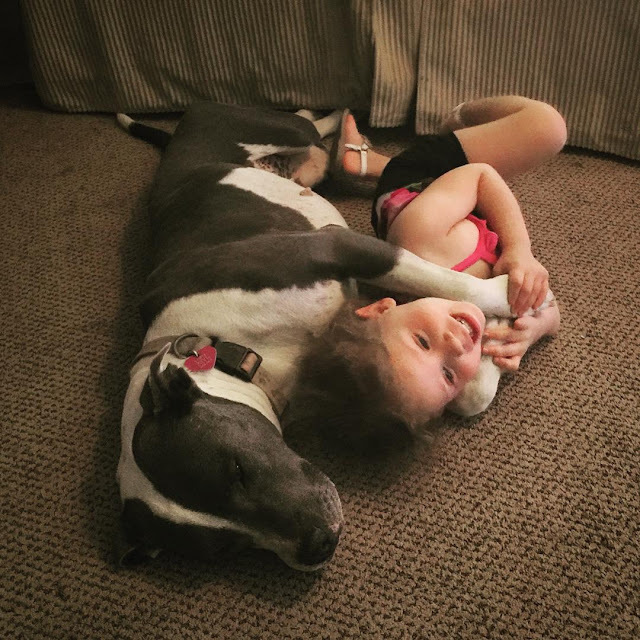 A reader shares the uplifting story of rescuing a starving pit bull, more on those gardening scams about town and just what is a transracial person? adorable picture of her grand daughter cuddling with the pit) "She was as thick through as my index finger is long. She weighed 35 pounds. After a night in my side yard with food and a bed I introduced her to my dogs while I figured out what to do with her. Keeping her on a leash for my dogs protection, she stepped on the lead and just froze, never trying to take another step. I knew then she had been staked out somewhere and had quit trying to walk around. We figure she was so starved the puppies didn't survive and since she wasn't a good breeder (although being a 'rare blue') it was easier to dump her. She suffered a dislocated hip and had been so hungry she had eaten a corncob which lodged in her intestine. Today, three and a half years later, Lucy Loo Loo is a wonderful part of my daughter's family." * ... STRAYS: And Carol Knapp added this: "It is sad to hear about all the abuses to the animals in our county and even sadder to know that that the idiots that commit the abuses more than likely are illiterate and can't read the paper. We need to have more public announcements in regards to spay and neutering dogs and cats on multiple ethnic radio stations in Kern County." * ... SCAMS: More on local scams thanks to reader Carol Craig: "Richard thank you for reporting on the mulch scam happening. Unfornately they got us in the fall of last year but for a lot more money, $1,100. They also stated we would not have weeds which was not true. I would like to warn folks of another scam going around. I have received calls from a group stating they are calling from Geek Squad and of course there are problems with your computer. They sound like the same folks that would call and stated they were from Microsoft. Of course I contacted Geek Squad and they don’t make random calls and of course neither does Microsoft." 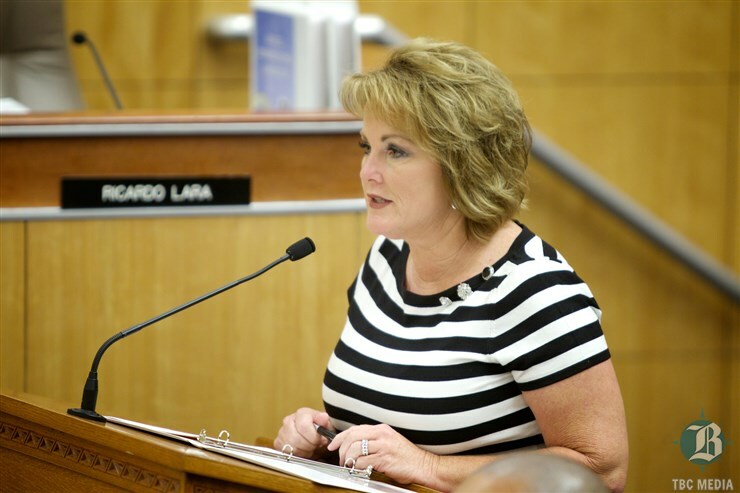 * ... GROVE: Now that Assemblywoman Shannon Grove has denied linking God's anger to the California drought, I hope we can put this episode behind us. And as reader Susan St. Laurent reminded me: "It made me think of this quote from Thomas Merton: 'Our idea of God tells us more about ourselves than about Him.'" * ... SPOTTED: On a lighter note I spotted this on Twitter: "Isn’t it weird that after 30,000 years of eating bread, everyone is gluten allergic now?" 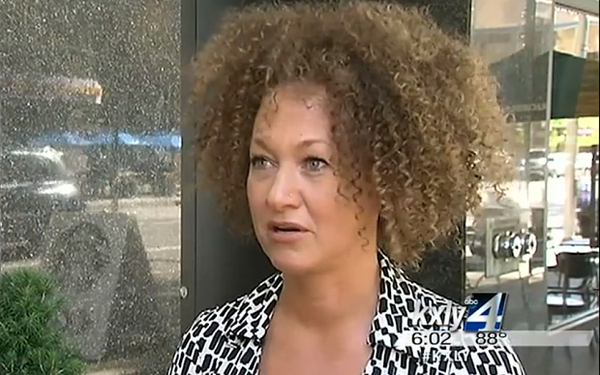 * ... NAACP: And there was this from Baxter Canfield on the story of the Spokane, Wash., NCAAP president who has been posing as an African American: "I just heard that Rachel Dolezal is a new 'trans' now. It is 'transracial' when a person from one race identifies with another race. I feel left out so I created my own 'trans' called 'transager.' This is where one person is old and thinks he/she is still young." * ... GOOD SERVICE: Nancy and Jim Bryant wrote to give a shout out to Southwest Garage which has taken care of their family cars for more than 30 years. "Southwest Garage exemplifies a business who persists in getting the job done. We have always been impressed by their service, but this goes way beyond our expectations."